Welcome to the PTP Beta Test. Participation in our Beta Test will be rewarded with a one year membership. Thank you for considering participation in PTP's Beta Test. The application is not 100% ready for a production release. We need your feedback to remove the bugs and make it a more intuitive and fun tool. Your time in this endeavour will be rewarded with a one year free membership ($175.00+ value). Hundreds of exercises sorted by training method and muscle group. Drag and drop exercises from pallet to canvas. Search for workouts shared by other members... copy and tune them for your needs. Add new exercises. Edit existing ones. Take your workout with you… print it out or access using a tablet device. Add unlimited YouTube exercise videos. 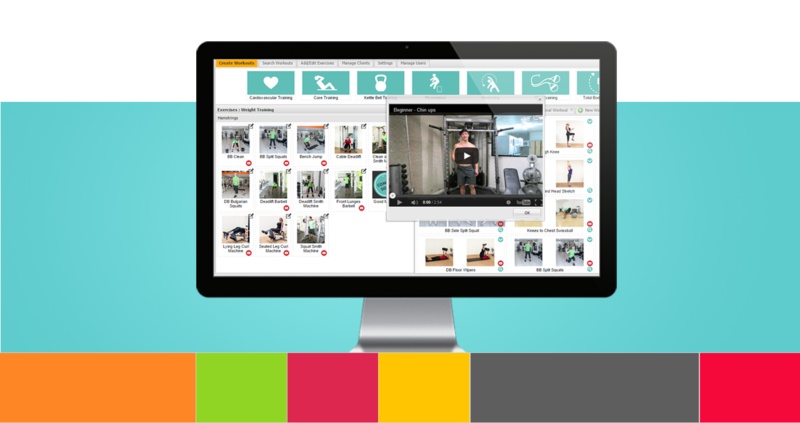 Access a client’s cycle of workouts without any back and forth clicking – PTP’s tabbed canvas´s allow the user to quickly move from one workout to another. Track clients progress… weight, body measurements… enter clients goals, nutrition/diet notes and more. Generate charts that measure and illustrate client performance. Add sets, reps, weight and instructional comments. Add execution times, distance, calories burned, heart rate and more. Generate reports based on increases or decreases in reps and weight. The application is not 100% ready for a production release. We need your feedback to remove the bugs and make it a more intuitive and fun tool. Your time in this endeavour will be rewarded with a one year free membership ($175.00+ value). Sign up Here. About Us PersonalTrainerPlan.com is currently in the beta testing phase of the development cycle. We are looking for feedback on software bugs and usability of the application. If you are interested in becoming a tester, please submit the form and tell us what you think. Contact Us If you are a beta tester and wish to submit feedback, please use this form. For all other inquiries, please use this form.